PANTONE Formula Scales are perfect addition to your ink room. Save time and money by utilizing PANTONE Formula Scales to mix colors by proven formulae to minimize the time needed for correction and maximize your pre-press efficiency. The PANTONE Formula Scales have been designed specifically for mixing inks to match PANTONE Colors. They are easy to use, accurate, and tough enough to stand up to the ink room environment. 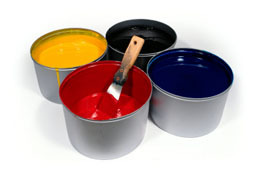 They have been proven by thousands of printers around the world to deliver substantial benefits. Whatever the size of your printing operation, or your requirements for special colors, there is a PANTONE Formula Scale to suit your requirements. Not only will it offer you great convenience, help improve and maintain color quality, but it will almost certainly save you money as well.